In explaining how the staff, board, venue coordinators, volunteers, sponsors, and, most certainly, the participating performers and artists of the 38th annual Utah Arts Festival (UAF) design the spaces of Library Square and Washington Square so that art fans can unite, the metaphors of magnets and oysters, as Doug Borwick, a long-time arts administrator explains in his Arts Journal blog Engaging Matters, suggest clear, easily understandable images. The Utah Arts Festival begins June 26 in downtown Salt Lake City on Library Square and Washington Square. Lisa Sewell, who is working in her 19th festival and eighth as director, says the Utah Arts Festival is always focused on breaking down barriers so that everybody, especially those who might be less inclined to experience the arts because of various reasons (for example, cost, time, convenience, hesitation about intimidating venues), can actually do so in the most comfortably accessible setting. 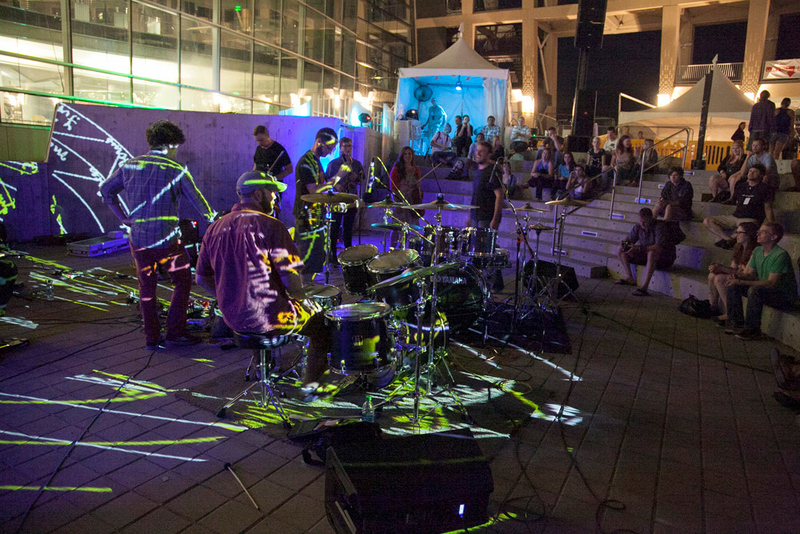 The festival’s unique strengths are built on having venues in all major forms of art and culture – including eight performing stages, along with program slates in literary arts, visual arts, kids, dance, musical commissions, street theater, do-it-yourself arts, urban arts, film, top national and world musicians, local music and culinary arts. This year brings new activities including a two-day songwriter academy sponsored by the Intermountain Acoustic Music Association and a series of do-it-yourself makers workshops sponsored by the locally based nonprofit EnjiGo Foundation, using robotics, electronics, and 3-D printing. In addition to popular team and individual poetry slam competitions, organizers for the Literary Arts venue have added an open forum publication workshop with publishers and editors who will offer suggestions to aspiring writers. 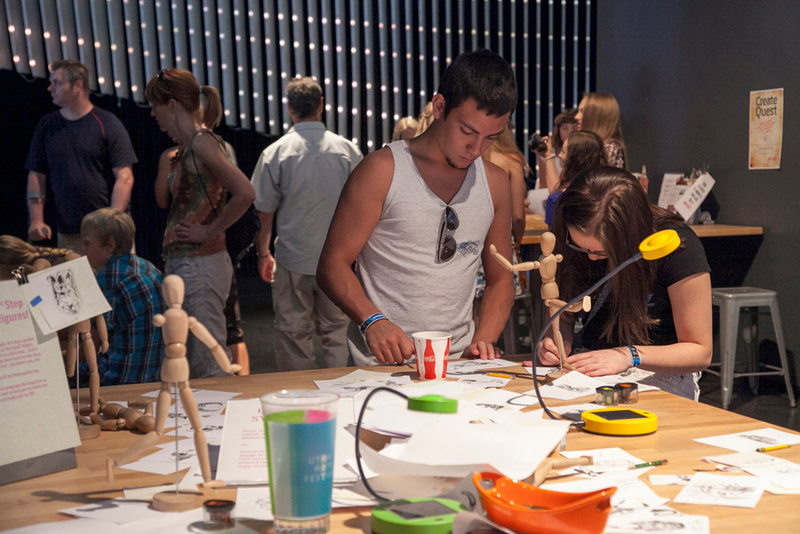 There are more than 65 interactive and DIY workshops scheduled during the festival’s four days. Magnets and oysters can be found metaphorically on every square inch of festival space. The depth of programming might seem overwhelming to some at first glance. 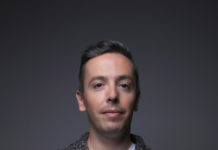 However, Sewell says the multiple venue formats has worked so well because coordinators have succeeded at programming activities and events to the extent that each venue could stand on its own for a weekend community event even as they interact and fit neatly within the festival’s overall theme. The Art Lab at The Leonardo, one of the newest venues for the Utah Arts Festival. And, the probabilities for cultivating pearls always are high. 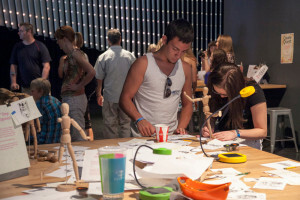 At every venue – including The Leonardo science and technology museum which became a full-fledged venue last year – festival visitors will see countless examples of collaboration, crowd sourcing, spontaneously occurring acts of culture, and creative experimentation that brilliantly fuse the notions of traditional and emerging art forms with bold practical ideas about how even a community of strangers can connect powerfully through artistic expression. “Here, a family with children might not be able to take in a full-length ballet but they might be interested in watching a few minutes of a performance and see what it does for them,” Sewell adds. Likewise, the engagement is taking on national and international dimensions for participants, such as the more than 160 artists in the Artists Marketplace and more than 60 films which will comprise the 12th annual version of Fear No Film, a complete film festival of short fictional, experimental, and documentary cinema. Both are notable for using rigorous juried screening procedures that follow standards found in festivals and competitions elsewhere. This year’s Artist Marketplace will feature 163 artists, 56 of whom are from Utah. 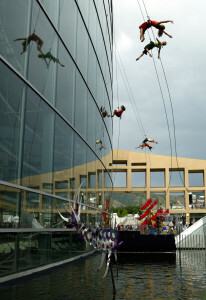 Sixty-five artists – 47 percent of those participating – are making their first appearance in the Utah Arts Festival. 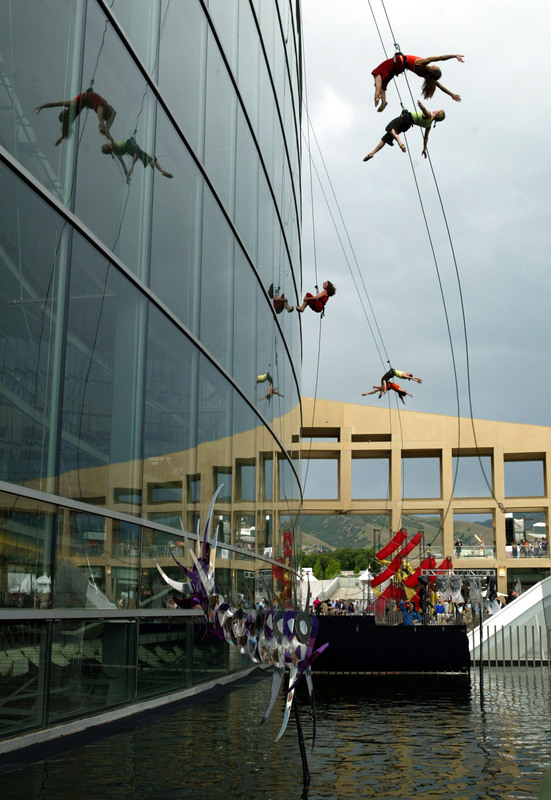 Last year, Bandaloop thrilled crowds nightly with their aerial dance performances. This year, the Australian based dance theatre troupe Strange Fruit will perform nightly at The Utah Arts Festival. 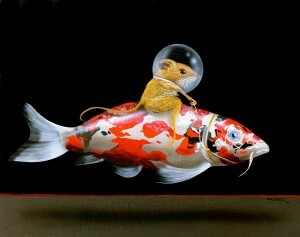 Photo by Nicole Morgenthau. Likewise, Fear No Film attracts more than 400 submissions annually. Two-thirds of the films typically come from outside of Utah and the United States. Every film in the Utah Short Film of the Year competition – which packs the City Library auditorium in every screening – has already been screened at other festivals and many already have won various awards. From Sewell’s perspective, along with the four other permanent staff members as well as 45 seasonal coordinators and a technical staff numbering more than 30, the festival welcomes every opportunity for unexpected connections forged by even the most unlikely of partners, whether it’s in planning a venue, offering a hands-on artistic collaboration, or customizing a corporate sponsorship. “Each year, we look to see how we can add at least one more interactive piece in each venue,” Sewell says. Top local and national music acts fill the schedule at seven performing venues and stages. Among last year’s performers were Sound Mass. Photo by Nicole Morgenthau. Also, festival organizers are following the significant changes in demographics as well as community needs and interests, especially in a state with the third-fastest population growth rate in the country, just behind Nevada and Arizona. And, Utah has the youngest population of any state. 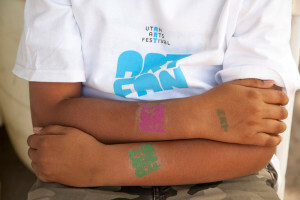 To wit: arts festival programming in two venues is dedicated exclusively to children and teens. Accessibility is always on the minds of festival organizers. The per-capita cost for producing the festival is approximately $22, up nearly 40 percent in just a few years, but only recently did the UAF modestly increase its admission prices. One policy remains rock solid, according to Sewell, and that is no admission charge for children 12 and younger. Sustaining a fresh, invigorating vibe is central to the organization’s mission. 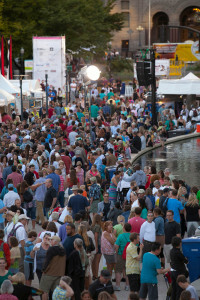 At 38, the Utah Arts Festival already has been around longer than many other similar outdoor gatherings. Slightly more than one-half of the 1,400 festivals that the National Endowment for the Arts recently surveyed have been around for more than 10 years. The groundwork for support and funding for the 39th festival already has been completed so that Sewell and the staff have already begun laying the foundations for the 40th anniversary festival in 2016, a major community milestone. 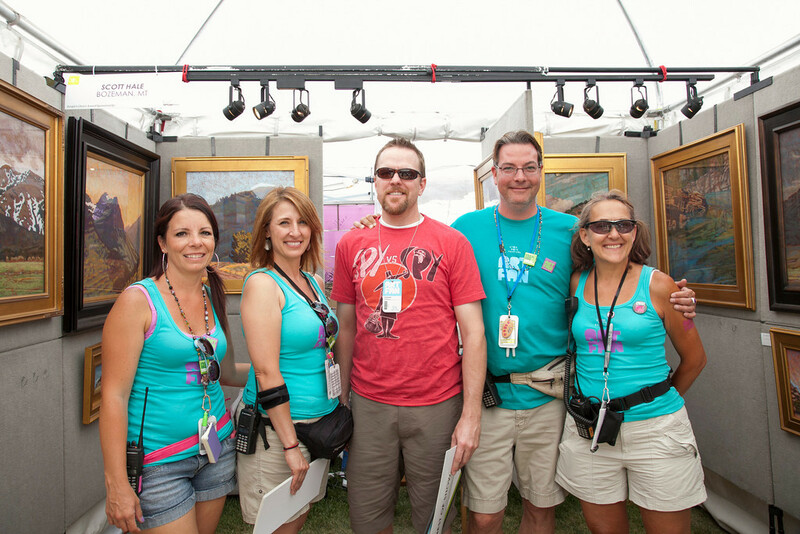 Art Fans Unite at The Utah Arts Festival. Photo by Nicole Morgenthau. The four-day festival, which opens June 26 and will likely bring in approximately 65 percent of the revenue the organization needs for its annual budget of a little more than $2 million, is the organization’s most prominent yearly undertaking. 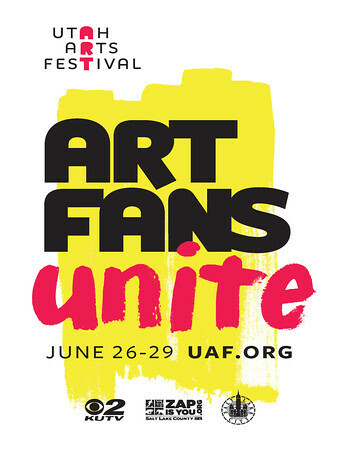 However, as Aimee Dunsmore, UAF’s development director, explains, the driving force for the festival’s theme of Art Fans Unite also underscores a vision that is as evident in the behind-the-scenes work of other times of the year as it is when nearly 90,000 people convene on the downtown festival campus for four sunny, hot days in late June. 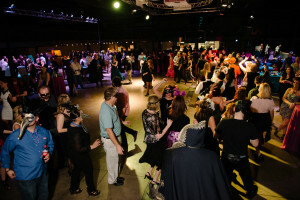 One of the most popular events is the annual masquerade party held in late winter. To promote the event, UAF presents a gallery exhibit based on party masks and their representation in art and sculpture. There are more than 50 corporate and major nonprofit organizations sponsoring various aspects of the festival. Among the newest sponsors are Dyson, Broadview Entertainment Arts University, and Michaels. Dunsmore explains that relationships with corporate sponsors involve much time and work, as they must be balanced sensitively with the concerns of visitors and art patrons who do not want to see corporate marketing on festival grounds directly interfering with the social and cultural experiences of the events. Among the annual events scheduled include the holiday art show by local artists, such as Darrell Driver. Photo by Nicole Morgenthau. The fit between sponsor and festival takes many creative forms. For example, the Rocky Mountain Power Blue Sky Renewable Energy program sponsors the valet bike lot in coordination with the Salt Lake City Bicycle Collective (and users receive $2 off the regular festival admission price). On June 17, the Whole Foods location at Trolley Square will donate 5 percent of all sales to the festival. However, Dunsmore says the supporting base of small donors through initiatives such as Friends With Benefits, coming into its fifth year, is growing steadily and current members are increasing their level of involvement and financial support. The Masquerade Party has become a popular annual staple for the Utah Arts Festival, usually held during the middle of winter. Photo by Nicole Morgenthau. The Friends With Benefits program has appealed especially to the interest of younger art patrons and supporters who potentially hold the keys to sustaining the festival’s legacy over the longer term. With multiple contribution levels, ranging from $50 annually to $1,000 or more, a steadily increasing number of individual donors are taking advantage of various amenities and privileges that extend to other activities and events the UAF sponsors year-round. 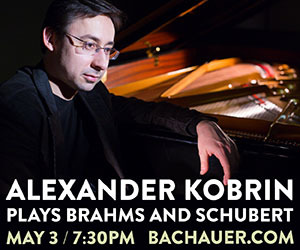 Even donors who contribute within the $25 – $49 range receive a pair of tickets to the Festival. 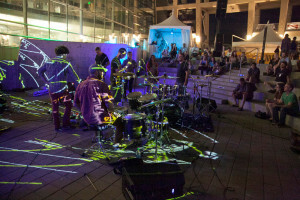 One of the perks includes the festival’s Friends patio, which becomes an informal family-style gathering and makes it easy to engage members in seeking their thoughts and input about the festival, according to Dunsmore. Each evening at the festival, the patio event will feature food and hospitality provided by locally owned enterprises including Uinta Brewing and local food producers such as Pop Art Snacks, Beehive Cheese, The Chocolate Conspiracy, and Utah Food Services. Some members in the Friends With Benefits program also have been loyal festival volunteers, according to Dunsmore. More than 1,200 volunteers are needed annually for the festival, and many have served easily more than 15 years, bringing talents and skills of significant value that are essentially in-kind contributions going well beyond what would be available given actual budgetary resources. Artist awards are given each year, including a ‘People’s Choice’ award. Photo by Nicole Morgenthau. Sewell explains many grant applications require information about volunteer services involved in the organization, reported not just in numbers and hours but also in terms of a hypothetical hourly wage. For UAF, the average hourly rate is $22, and it can vary widely across the distribution, depending upon the complexities or skills involved with a particular volunteer role. American Express also has played a visible role in the festival’s volunteer program. Dunsmore says UAF always looks for new ways to engage the community. Festival organizers are repeating two community development events that drew enthusiastic response in their first experience last year. On June 21, a Color Me Rad 5-K program event will be held at Washington Square. Participants can register by using the code word ‘ARTS’, which ensures the festival receives a donation and participants get a 10 percent discount on the registration fee. Each charity or nonprofit partner involved in a Color Me Rad event typically receives between $15,000 and $30,000 from the event, based on the number of participants. The second fundraising event puts a twist on the preview event, typically called a ‘big deal,’ as Sewell explains. Instead of doing a formal preview before the festival opens, UAF staff will sponsor a Sunday breakfast event – The Big Deal Brunch – before the gates open for the final day. Tickets are $50. 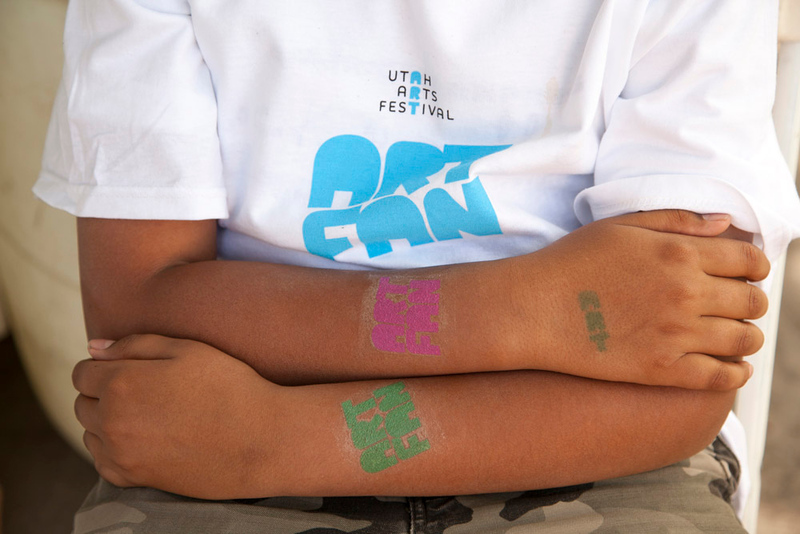 Art Fans are the lifeblood of support for the Utah Arts Festival. Photo by Nicole Morgenthau. Another key strength has been the UAF’s ability to be a third-party source of matching sponsors in the community to one another as part of building yet further value into the benefits of truly mutual engagement and philanthropy. The fruits of nurturing relationships provide a healthy return on investment. UAF has seen the value of its contributed income rise by nearly 30 percent in recent years, approaching $1 million.